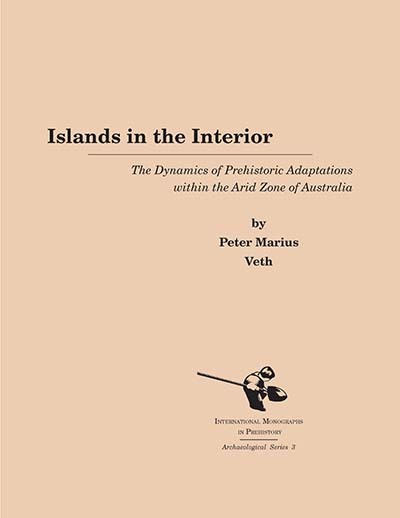 In this book, Veth develops a model of settlement and subsistence in the Western Desert of Australia, drawing on his own archaeological investigations, as well as ethnographic and environmental data. Building on this model, he concludes with a plausible reconstruction of the colonization of the harsh, arid interior of this continent. Peter Marius Veth holds the inaugural Kimberley Foundation Ian Potter Chair in Rock Art, is a Professor of Archaeology at The University of Western Australia. Veth is a leading archaeologist who has conducted archaeological, ethnohistoric, ethnographic and maritime studies throughout Australia, Torres Strait, Maluku Province Indonesia, East Timor and Pitcairn Island.